Im a big lover of primer. I never used to wear it until about a year ago and now I cant live without it. Especially having oily skin, I find a primer helps so much. 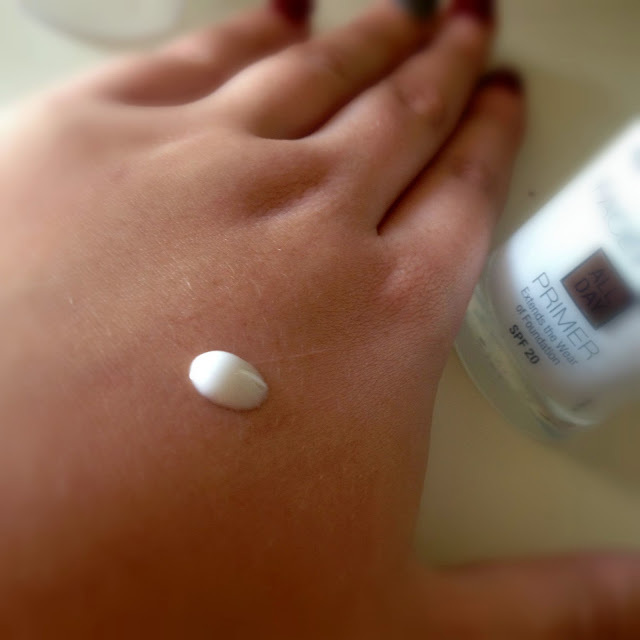 Today's review is of Maxfactor’s Face Finity All Day Primer. I don’t actually own many Maxfactor products. 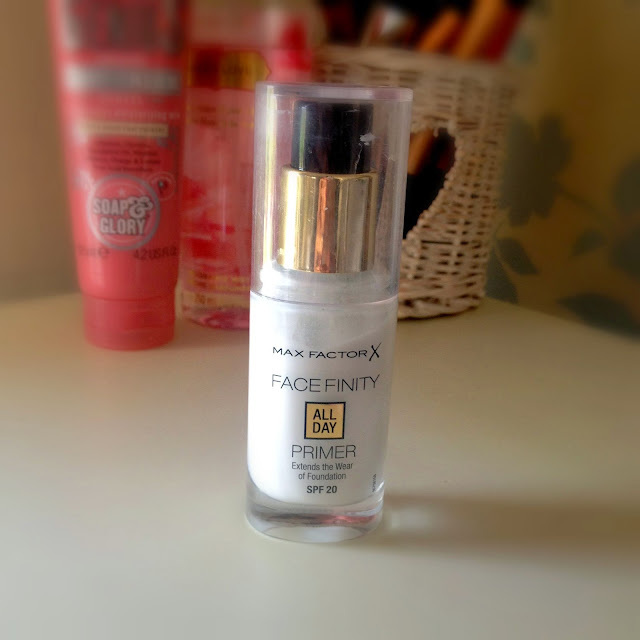 I mainly own their foundations as I find they are usually great coverage, so I thought why not give the Maxfactor Face Finity All Day Primer a go. It states to last all day and extend the wear of your foundation. It retails at £10.99 which is a little pricey for a drugstore primer but you actually get a lot in the bottle so I can see this lasting quite sometime. The packaging is lovely. It comes in a glass bottle and with a pump so it does feel more highend rather than drugstore. When you first apply this onto the skin it has a PVA glue like consistency (which I know sounds horrible). It does feel quite thick but once you rub it into your skin it feels lovely. It spreads well, you don’t need a lot & it sinks into the skin fairly quickly. When applying primers I leave them to sink in for about 5 minutes before applying my foundation. So the question is does it work? Iv found it has really helped my foundation last longer and reduced my oily skin. On first application I thought it might make my skin worse but it really hasn’t. I have started to get some small breakouts at the moment which im not 100% if it is the primer or just because im a little stressed out at the moment. Overall I will definitely buy this product again. I really want to try the MaxFactor Face Finity All Day Flawless Foundation, have you tried it? Sounds like a great product! 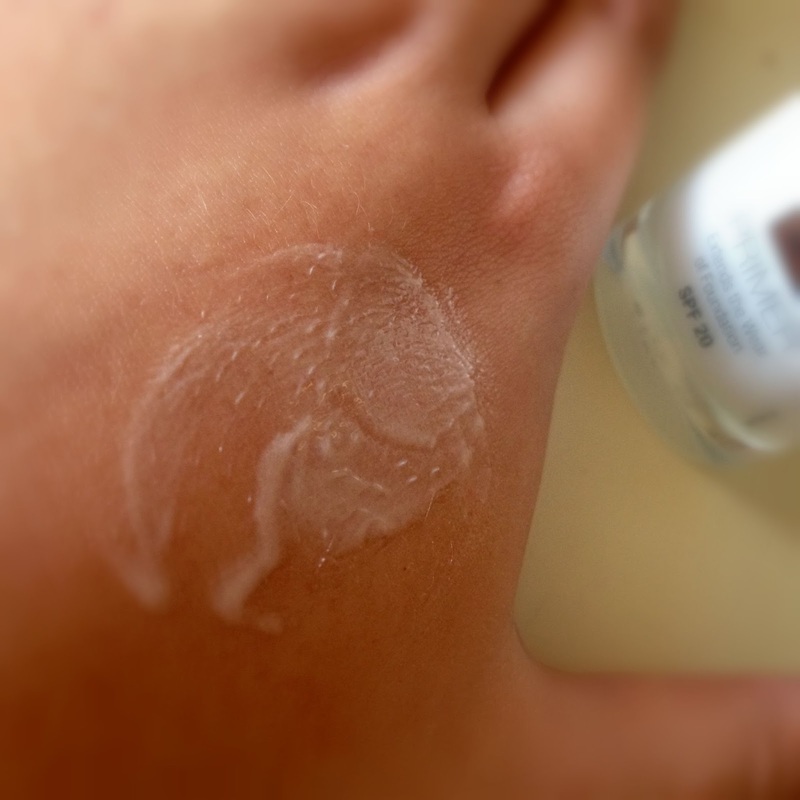 My fav primer is Instablur from the Body Shop. this sounds great:) i seriously need to buy primer, i totally neglect it! Primer is a must for me too! I wish they had Max Factor in the states, but I don't think they do. Too bad, because this looks like a primer I'd like to try! Great post! This sounds so good! I personally don't use a lot of products from Max Factor, but I am going to give this one a try!